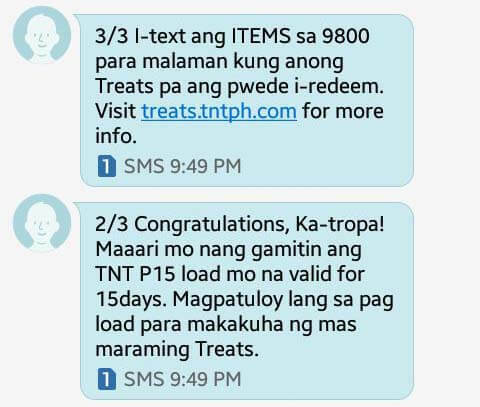 Talk N Text Treats their subscribers with rewards points every time you reload your prepaid account. You can redeem it to get exciting mobile, lifestyle and deals of your choice as long as you have enough points. 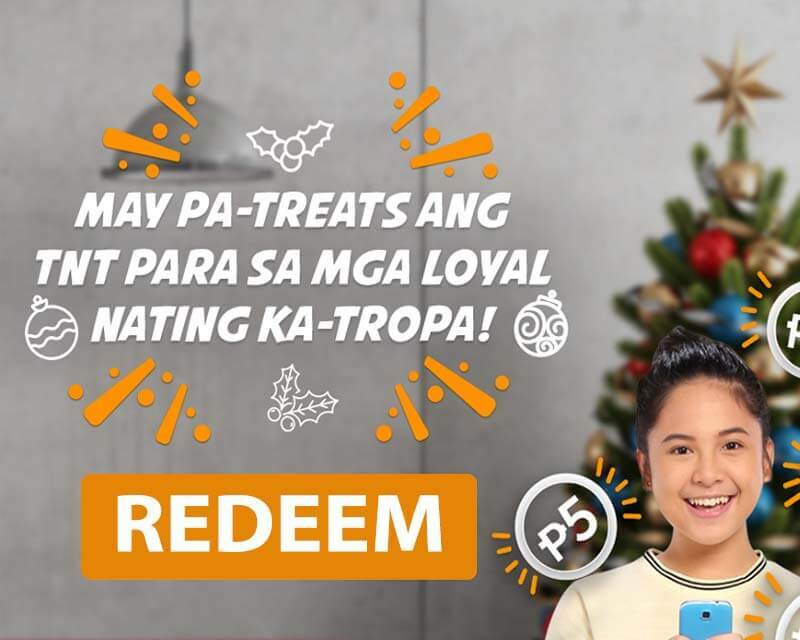 The conversion is (1)one loyalty point equals 1 peso load, the more points you have, the more regular load you can redeem or avail. By simply texting the code POINTS to 9800, you can check your balance points available and to see the item list of redeemable code or catalog, you can text ITEMS to 9800 free. You can choose and browse from the list of categories you prefer to avail. You can earn points for every P25 load top with your TNT mobile number. If you are not getting any points on your SIM card, you need to register first by simply texting the keyword TREATS plus your personal details to 9800 free of charge. See the list of TNT Rewards that includes call, text, load, lifestyle and deals that you can redeem using your rewards points. 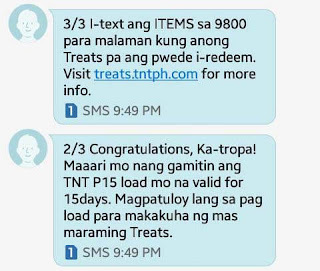 You can opt out the TNT Treats notifications by texting OFF to 9800 and enable it again by sending the keyword ON. Check out TNT Treats for more information and frequently ask questions about their reward system.